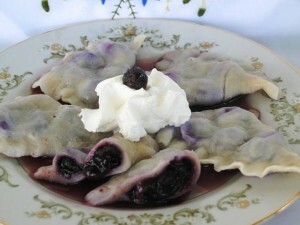 Eastern Right Catholics always begin their First Day of The Great Lent on Monday, rather than Wednesday. 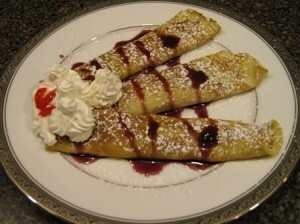 The Roman Catholics have until Ash Wednesday, for The Great Lent to begin. This period of 40 days, ending on Easter Sunday, calls for an increased spiritual awareness, humbleness, and meatless meals on Fridays, and optional on Wednesdays. 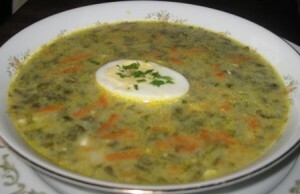 Have no fear, Suburbangrandma is here to offer TWENTY FIVE meatless meals suggestions, plus a link to another post with few more…such as Avocado Egg Salad, Gluten Free Varenyky, Zucchini and Goat Cheese Fritter...etc. 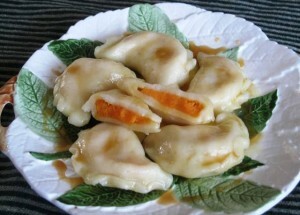 Varenyky (Perogy) – Filled Dumplings. 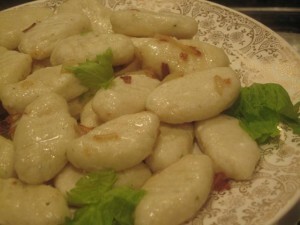 Palushky – Potato Dumplings, also knows as Lazy Perogy, or Gnocchi. 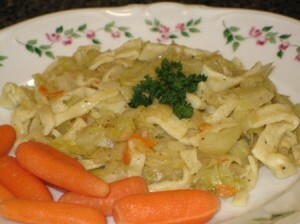 Halushky – Pasta with cabbage. 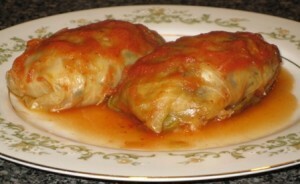 Vegetarian Holubtsi – Cabbage Rolls. 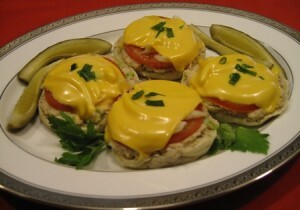 Tuna Melts – warm, open face sandwiches. 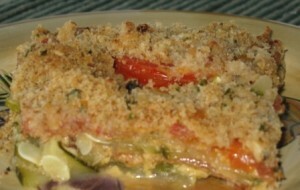 Veggie Burgers – very tasty and healthy. 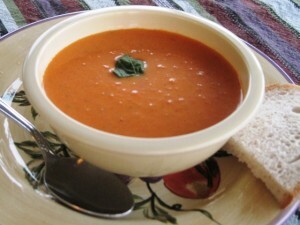 Tomato Soup – homemade version. 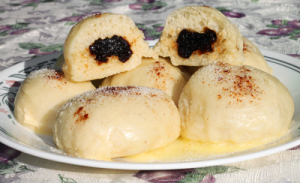 Fruit Filled, Steamed Dumplings – so light and fluffy. 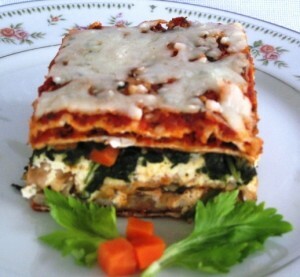 Vegetarian Matzoh Lasagna – much lighter than the traditional pasta. 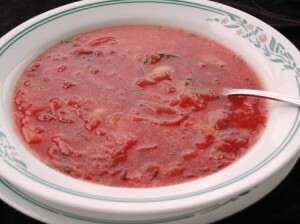 Ukrainian Traditional Borscht – Red Beet Soup. 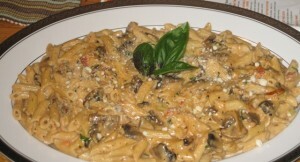 Pasta with Mushrooms – quick and easy. 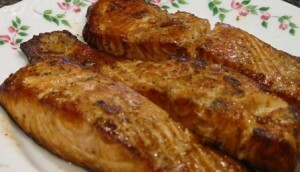 Grilled Salmon – very tasty, even if seafood is not your favorite choice. 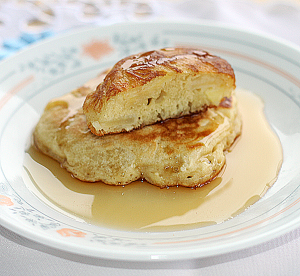 Homemade Apple Fritters – not just for breakfast. 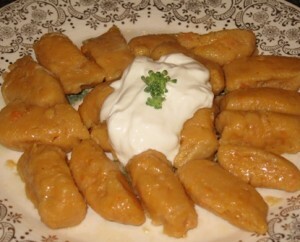 Sweet Potato Palushky – gnocchi. 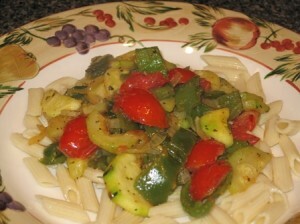 Pasta with stir-fry veggies – light and tasty. 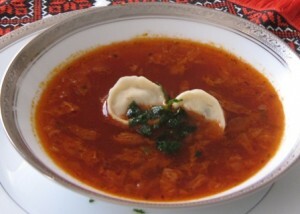 Sorrel Borscht – Shchav/Shavel Soup. 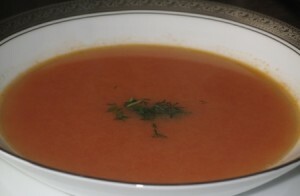 Easy Red Beet Borscht – use Veggie Broth for vegetarian version. 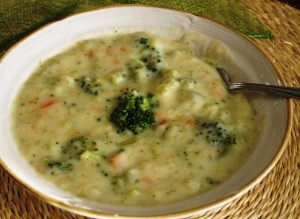 Broccoli Cheese Soup – use Veggie Broth for vegetarian version. 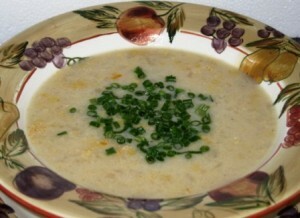 Corn Potato Soup – use Veggie Broth for vegetarian version. 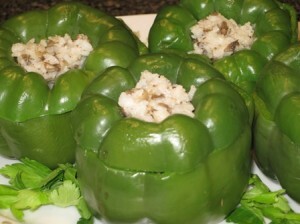 Stuffed Green Peppers – with Rice and Mushrooms. 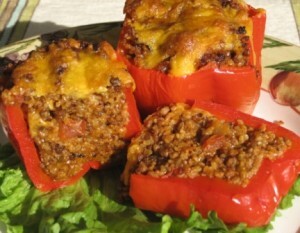 Stuffed Red Peppers – Bulgar (replace turkey with veggies). 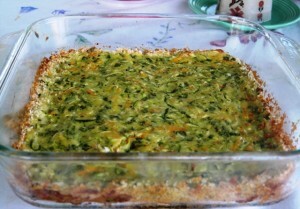 Zucchini Casserole – so good and simple. 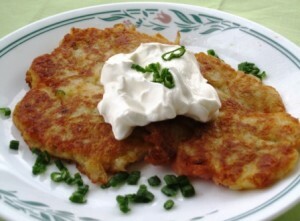 Potato Pancakes – suitable as a main course with side dishes. 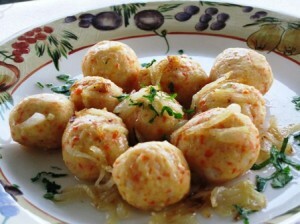 Thanks for the list of meatless dishes.. I did observe the dairy less and meatless day on Monday.. A great day for reflection for me.. my day start with black coffee which I quickly switched to tea as I am a latte coffee drinker! then the rest of the day of fast was not a hardship, sushi for lunch then Fish Taco for supper, garlicky coleslaw with a spicy guacamole was a great topped for the fish! Yum…meatless Monday menu at your house sounds wonderful…..I would have stopped by for some sampling….. if I only lived closer…. Now wouldn’t that be fun!! Hugs! and still find so much time to do this for all of us.